Interested in learning more about two way radios? Need to learn a little more before a purchase? Check out The Two Way Radio Show! 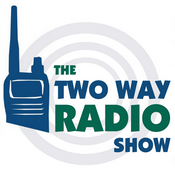 The Two Way Radio Show is an internet radio show, or podcast, dedicated to two way radios and other types of communications equipment. Select a topic from our episode index below to get started! You can also subscribe to The Two Way Radio Show on iTunes, Blubrry or stream it to your mobile device on Stitcher Radio. We celebrate the launch of our new web site and tell you about history of our company, how we migrated to a new platform, and the deals and freebies currently available during our relaunch event. Today we’re celebrating the launch of an all new redesign of our web site! We’ll give you a little history of Buy Two Way Radios, talk about our migration to another platform, and tell you about some of the new features that our new web site offers. We’ll also tell you about some of the specials, deals, discounts and freebies on popular radios and accessories currently available to celebrate the launch of our new site. Read the Website Redesign Promotion Event Deals and Specials for details. Comments and questions from readers of our Two Way Radio Blog and members of the Two Way Radio Forum. Send in your comments and questions for Danny, Anthony and Rick to show[at]buytwowayradios.com. Feedback on this and other topics will be read by the hosts and included in future episodes of the show. Visit us at www.twowayradioshow.com! © 2018 Cricket Ventures, LLC. All rights reserved. This entry was posted in Two Way Radio Show Podcast and tagged freebies, company history, website redesign, deal, specials, podcast on July 20, 2018 by Rick. TWRS-124 - FRS Radios for Business? We talk about using FRS radios for business. We also talk about a new series of business FRS radios from Cobra. Today we'll talk about using FRS radios for business applications. We'll discuss some common arenas in which FRS radios are used instead of business class radios for daily operations, the pros and cons of using FRS radios for a business, and how some radio manufacturers are responding to recent changes in the FCC rules to market FRS radios to businesses and organizations. We also discuss a new line of FRS two way radios from Cobra designed specifically for business use. The first set of tariffs are now in effect. We give you an update on a possible future interview with publisher Chuck Gysi from National Communications Magazine and mention an article in the July/August 2018 issue about UHF and VHF repeaters. This entry was posted in Two Way Radio Show Podcast and tagged Business, FRS, repeaters, Cobra, two way radios, National Communications Magazine, PR561 BLT, PR562 BLT, PR220B, PX500, PX880 on July 13, 2018 by Rick. We put the new TYT MD-UV380 in a three way match up against the popular TYT MD-380 and the MD-2017. We'll also tell you about updates to the Wouxun KG-D901 DMR radio and give you an update on the status of the proposed tariffs on Chinese transceivers. We talk about the new TYT MD-UV380 Dual Band DMR digital two way radio and put it in a three way match up against the popular TYT MD-380 and what is widely considered the first dual band DMR handheld on the market, the MD-2017. We'll compare the features of these three radios, respond to some of your comments and questions about the UV380 and tell you which model we think offers the best value for the price. We talk about an article in National Communications Magazine about connecting GMRS repeaters across the Internet. Could this be the next big thing for GMRS? This entry was posted in Two Way Radio Show Podcast and tagged GMRS, emergency, digital, preparedness, comparison, TYT, MD-2017, DMR, MD-UV380, tariffs, md-380, National Communications Magazine, weather radios on June 1, 2018 by Rick. We tell you about some new two way radios for 2018. We also review the Motorola SL-300 Portable Two Way Radio. We discuss some of the latest in the world of Two Way Radios for 2018. We'll tell you about a new model in the Kenwood business radio line, some surprising news and a great deal from Midland, a new Limited Edition radio kit from Wouxun and a new DMR radio from TYT. We review the Motorola SL300 Portable Two Way Radio. This entry was posted in Two Way Radio Show Podcast and tagged Midland, Kenwood, Motorola, Cobra, Wouxun, TYT, DMR, MD-UV380, new two way radios, SL300 on May 4, 2018 by Rick. TWRS-121 - Tariffs on Chinese Two Way Radios? We discuss the proposed tariffs on Chinese two way radios. We also review the new TYT MD-UV380 Dual Band Digital DMR Two Way Radio. We discuss proposed tariffs on Chinese two way radios. We'll tell you what they are, why they were proposed and speculate on the possible effects of the tariffs on the US market and your wallet, if these tariffs go into effect. You can read the entire notice in the Federal Register. We review the new TYT MD-UV380 Dual Band Digital DMR Two Way Radio coming soon. This entry was posted in Two Way Radio Show Podcast and tagged two way radios, TYT, DMR, chinese, MD-UV380, tariffs on April 20, 2018 by Rick. We tell you how to choose the correct radios for your winter emergency preparedness kit. We also review the Midland WR400 Deluxe NOAA Weather Radio with Alarm Clock. We discuss how to choose the right radios for your needs when building an emergency preparedness kit for winter. We'll explain why a radio is an important item to have in any kit, consider the different types of emergency radios available, and compare the key features and functions between some name brand emergency and weather radios. We review the Midland WR400 Deluxe NOAA Weather Radio with Alarm Clock. © 2017 Cricket Ventures, LLC. All rights reserved. This entry was posted in Two Way Radio Show Podcast on December 22, 2017 by Rick. We reveal the truth about two way radio warranties. We also review the Baofeng BF-9700 UHF Two Way Radio. We tell you the truth about two way radio warranties. We'll explain why a warranty is an important feature to consider when choosing a radio, talk about some common misconceptions about product warranties in general, and compare warranties between some name brand two way radios and Chinese imports. We review the Baofeng BF-9700 UHF Two Way Radio. We read comments and questions from our Two Way Radio Blog and Two Way Radio Forum. This entry was posted in Two Way Radio Show Podcast on December 15, 2017 by Rick. We talk about choosing walkie talkies for kids. We also review the Motorola Talkabout T100 Two Way Radio. we talk about buying walkie talkies for kids. We compare toy walkie talkies with entry level FRS radios, reveal the differences between them in quality and cost, and discuss the advantages of giving kids real FRS radios instead of the toys. We review the Motorola Talkabout T100 Two Way Radio. We read comments and questions from e-mail, our Two Way Radio Blog and Two Way Radio Forum. This entry was posted in Two Way Radio Show Podcast on December 1, 2017 by Rick. We discuss a recent announcement from Motorola about the future Vertex Standard radios. We also review the Motorola MotoTRBO CP200d Portable Radio. we discuss the complete assimilation of Vertex Standard radios into the Motorola brand. We'll tell you when it will occur, what will happen to the current models of Vertex Standard radios and speculate on how it may affect the industry going forward. We review the Motorola MotoTRBO CP200d Portable Radio. This entry was posted in Two Way Radio Show Podcast on November 24, 2017 by Rick. We discuss some of the latest news about two way radios for Fall 2017. We also review the new Motorola Talkabout T280 Two Way Radio. we discuss what's new for the last quarter of 2017. We'll tell you about a surprising change in the Kenwood business radio line, the unexpected popularity of a new Midland GMRS radio, two new mobiles from Wouxun and some new additions to the Motorola Talkabout series just in time for the holidays. We review the new Motorola Talkabout T280 Two Way Radio. We read comments and questions from e-mail, Two Way Radio Blog and Two Way Radio Forum. This entry was posted in Two Way Radio Show Podcast on October 13, 2017 by Rick. TWRS-132 - Should You Be Licensed to Buy a Radio?